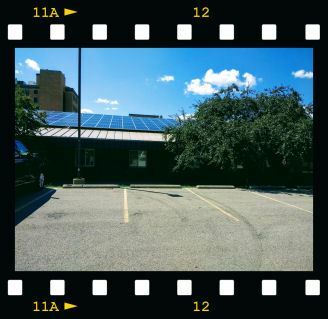 Please join us on August 22nd, and learn how even small organizations can succeed with solar projects. 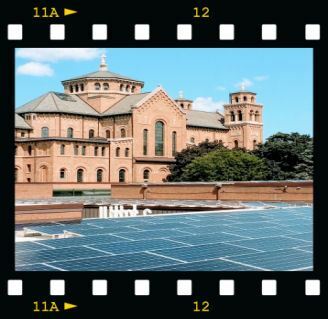 Learn how The School Sisters of St. Francis, working with Arch Electric found a winning strategy to enhance their financial, social and environmental profiles. 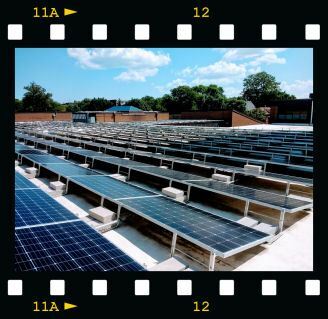 The project, one of the largest institutional rooftop solar installations in the City of Milwaukee, was designed to offset more than 12% of the electricity consumed at the facility, or 480,000 kilowatt-hours. 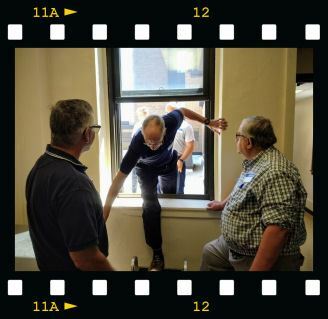 Got more than we bargained for on the 22nd The presentation and tour centered around the PV solar arrays installed at School Sisters of St Francis was interesting, informative and important for anyone considering solar for their facilities or home. I am not sure that everyone signing up realized the size (over 1,000 solar PV panels) of the installation, the benefits in terms of financial and environmental impact, the available incentives, rebates, grants, the complexities of planning and installation and on and on and on. Fortunately, we had a team from Arch Electric presenting our group with all the details. Mike introduced Arch Electric ,the company, with a little history from inception to success. Mike was followed by Dan who went over “the process” from the evaluation of energy usage, site assessment, installation planning et al. Dan concluded with an introduction of Ed Zinthefer who jumped immediately into a geekfest of nonlinear string optimizers, redundant array monitoring sensors and more polyrazzmatazz than this writer could recall or comprehend. All kidding aside we did have a good number of members in attendance who understood and appreciated Ed’s insight. Upon arrival a few solar panels could be seen clearly from the parking lot. In terms of size and scale the first impression was somewhat deceiving. Then we saw the real thing. The panels visible from the parking lot made up but a small portion of installation of over 1,000 panels. It would be wrong to conclude this commentary without mention of our hosts. The perception that Churches / Religions are, in general, a little slow to embrace science and technology must be adjusted to accommodate The School Sisters of St Francis. Sister Carol Rigali of the U.S. Province Leadership Team, who unfortunately had other commitments, was unable to attend our meeting. She was the project leader and had described the initiative as one that would benefit the province, the residents of Sacred Heart, and the earth. She went on to explain that solar projects have been encouraged by Pope Francis as a way to care for creation. It would be nice if had more thinking like that in the boardroom.